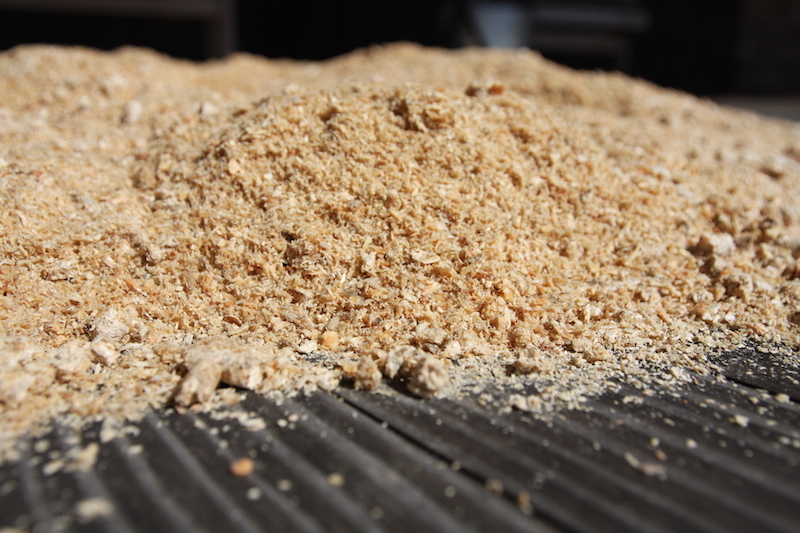 In addition to the long term cost advantage over heating oil and propane, wood pellets have some additional benefits that you may be unaware of. 1. The carbon footprint of wood pellets can be neutral, or close to it. A study by The Alliance for Green Heat and VU University Amsterdam revealed that heating with wood pellets can emit about one tenth the carbon as heating with oil. If the forests where the wood pellet raw material has been taken from are sustainably managed, the overall carbon footprint is drastically reduced in comparison with fossil fuel heat. It’s that time of year where the bitter cold can really get the best of many homes. You might be considering some home updates, or feeling a cold draft you can’t locate – and you’ve thought about a professional assessment. Is it worth the cost? Check out this video by the U.S. Department of Energy. It provides some helpful insight into what a home energy audit is all about. The Woodpellets.com Referral Program: $25 for You $25 for Them! 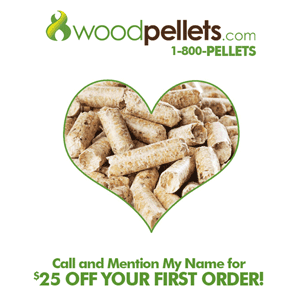 Tell your friend about Woodpellets.com, and he or she will get $25 off their first order! Plus, when that first order is delivered, your Woodpellets.com account will automatically be credited $25! So, if you’re happy with our service, our products and our convenient delivery…share the pellet love! 1. Woody tells Wilma about the convenient delivery options, the variety of high quality wood pellets available, and the expert customer support at Woodpellets.com. He tells her she’ll love it, and she will get $25 off her first delivery if she mentions his name at the time of ordering. 3. The Woodpellets.com expert looks up Woody’s account, and Wilma is given a $25 discount on her order. It’s as simple as that. And another thing…there is no limit on the amount of referral credits you can receive. We’re still the same Woodpellets.com – but we’ve moved! Although we deliver wood pellets to homes across the Northeast, our home base has always been located in the Granite State. We’re thrilled with our new energy-efficient office in Bedford New Hampshire. It’s the perfect fit for our team of seven! Check out our new sign pictured above! Now that we’re visible from Route 3, we commissioned Pelham’s Signs Now NH to install our logo on our building. If you’re in the neighborhood, stop by to check it out, or to say hello! Across America, clean and readily abundant forms of energy are powering more than homes and businesses. Taken together, our capacity for safe and reliable energy generation is driving a clean energy renaissance that is creating jobs, strengthening America’s national security, and preserving our environment. Wind and solar energy have long been the power-houses of renewables. While the carbon neutrality of biomass (organic materials used for energy) has been debated, studies show significant carbon benefits can be achieved through the use of organic residue based biomass in power generation facilities. Additionally, the collection of forest waste for use is essential to responsible forest management. Unlike living trees that draw carbon from the atmosphere – dead tree leftovers release carbon into the atmosphere. This past spring, the House Appropriations Committee voted to officially designate biomass as carbon neutral. The FY2017 Omnibus Appropriations bill directed U.S. government energy leaders to recognize the benefits of using forest biomass for energy creation and forest management. The biomass power industry removes over 68.8 million tons of forest debris annually, improving forest health and dramatically reducing the risk of forest fires. In addition, the biomass industry diverts millions of tons of waste material from landfills and open burns. Biomass power plants also eliminate the need for frequent open burns of agricultural waste and forest slash, while continuing to offset the use fossil fuels that produce smog and acid rain. Biomass power will be highlighted alongside energy sources including solar, geothermal, wind and hydropower during the National Clean Energy Week forum in Washington D.C. Click here if you’d like to learn more and get involved! A recent study commissioned by the Biomass Power Association (an organization representing 80 biomass power plants across the U.S.) compared the carbon intensity of a forest residue biomass power facility in New Hampshire to that of a combined cycle natural gas facility. Dr. Madhu Khanna (of the University of Illinois Department of Agricultural/Consumer Economics) and Dr. Puneet Dwivedi (of the Warnell School of Forestry and Natural Resources) found significant carbon benefits can be achieved through the use of organic residue based biomass instead of natural gas in power generation facilities. The results showed immediate carbon savings of 115%, and 98% carbon savings over 100 years. This “forest residue” is the leftover matter from harvesting wood fiber in a managed forest for paper mills and lumber mills. The leftovers include tops, limbs and other forestry byproducts are generated regardless of being used for power or just left to decay. 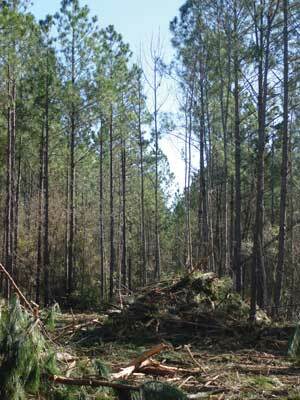 If it’s not collected and used as biomass power, it will typically remain in the forest in slash piles – which are isolated piles burned safely in order to keep forests healthy. This kind of forest management is important, because unlike living trees that draw carbon from the atmosphere – dead tree leftovers release carbon into the atmosphere. 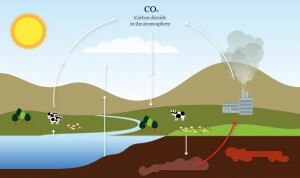 The decay rate of forest biomass, the carbon/methane emissions that would have occurred if the organic leftovers stayed on the forest floor, and the incidental carbon emissions incurred during the harvesting/chipping/transportation process were all factors taken into account during the study. Interested in learning more? Check out the full study, here. It was early 2008 when Brian Grady, a professional sawyer from Maine, came up with the idea for reusable firewood. After months and months spent testing and researching, he created Fire Logs. The “logs” are handmade rectangular stainless steel baskets able to withstand temperatures up to 1400 degrees Fahrenheit – and designed to burn wood pellets.